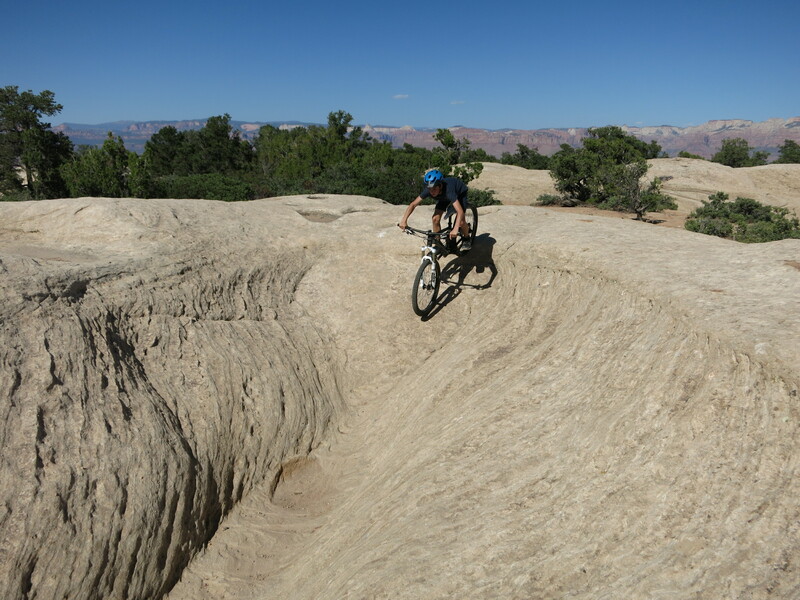 Gooseberry Mesa is a table top mountain or high plateau close to the Zion National Park and is like a mountain bike playground with lots of slickrock riding. There are various options to combine the trails at the South Rim, North Rim and Hidden Canyon in any direction. You just have to follow the white dots up and down the rocks. The ride on Gooseberry Mesa is hilarious and surprising, as the dots lead you up and down in a way you would not guess. The ride is basically on the same altitude and the distance is rather moderate, however, the countless short but steep climbs make it quite strenuous. 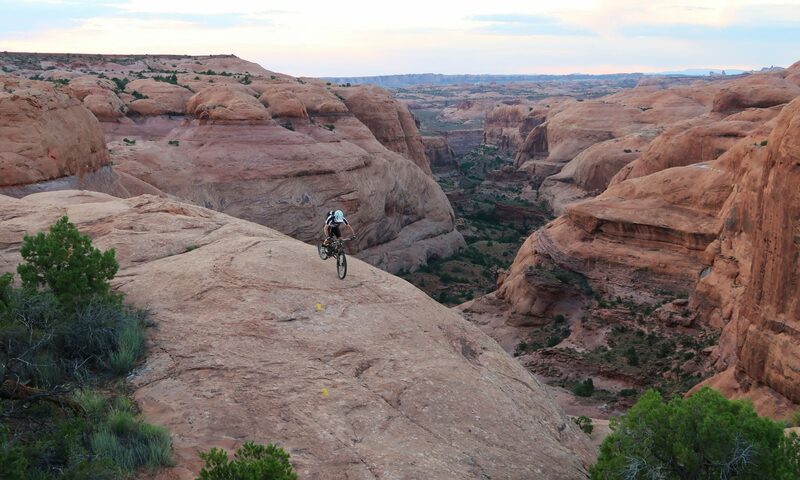 Depending on the route you can easily spend 2 – 4 hours with rock hopping in this MTB-Playground. To get to the trailhead from Rockville a car with higher clearance is recommended on the bumpy, unpaved road.